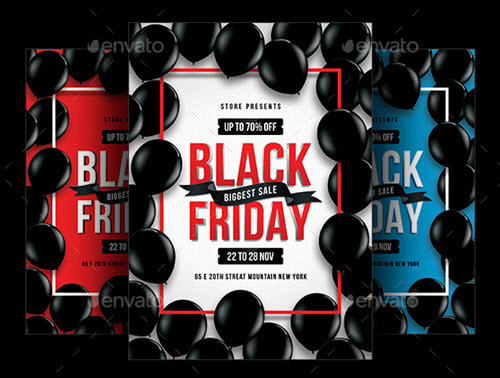 By: Nelly Vinnik posted on November 22, 2018 in Inspiration . 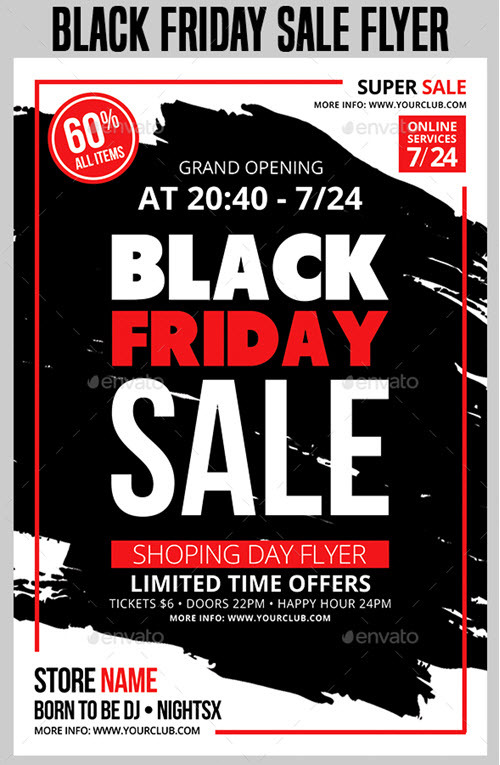 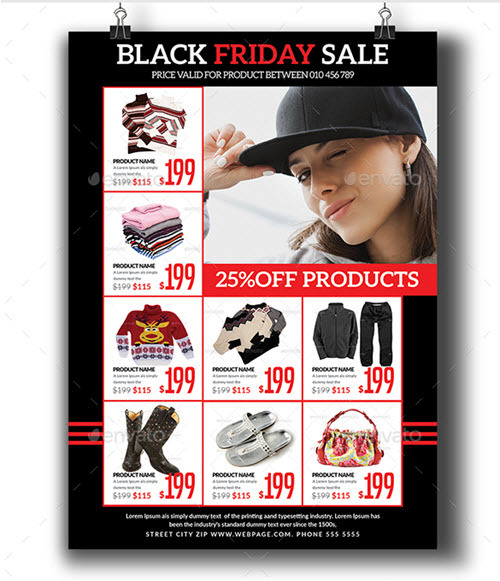 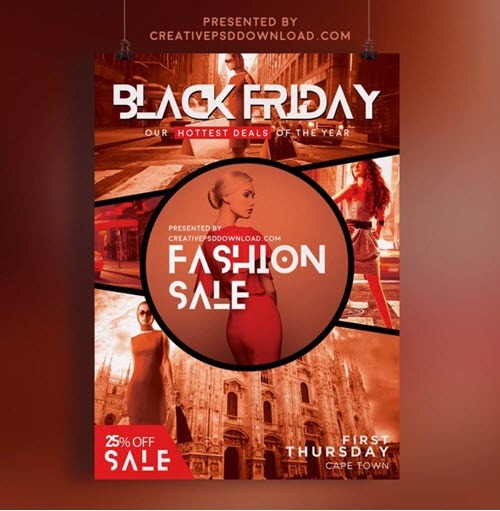 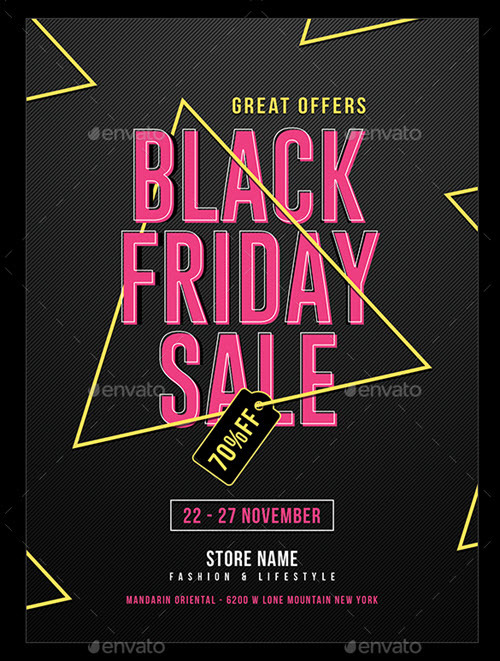 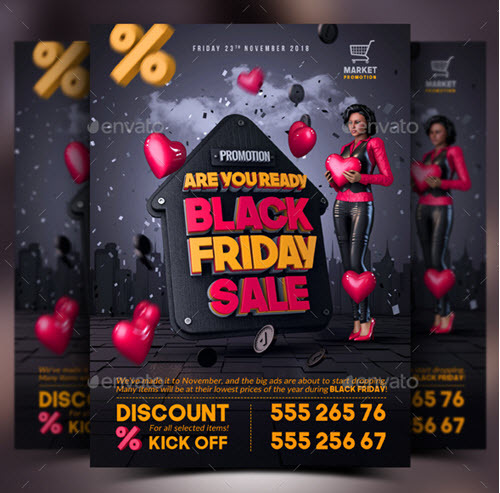 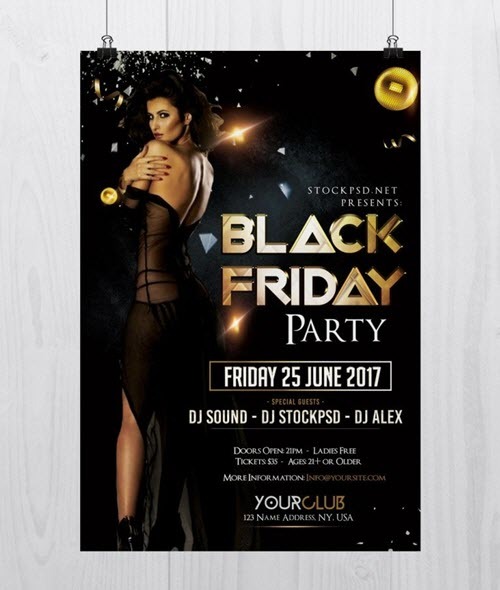 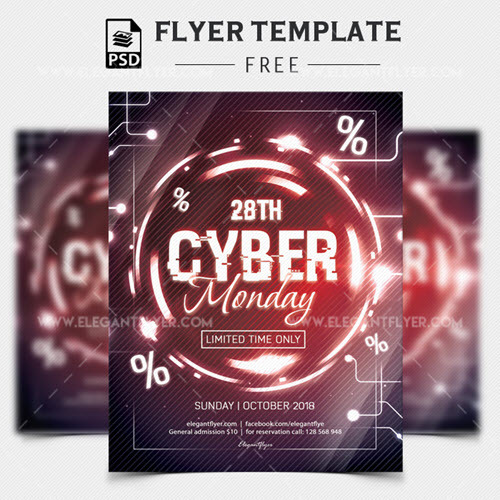 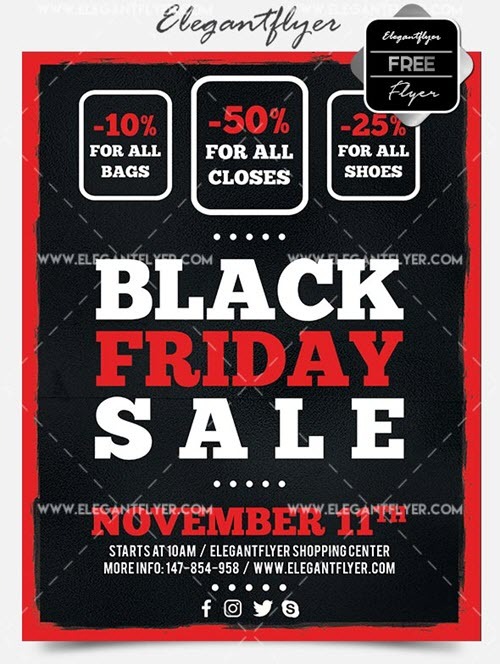 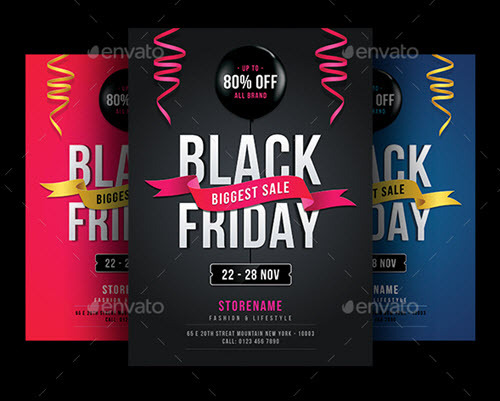 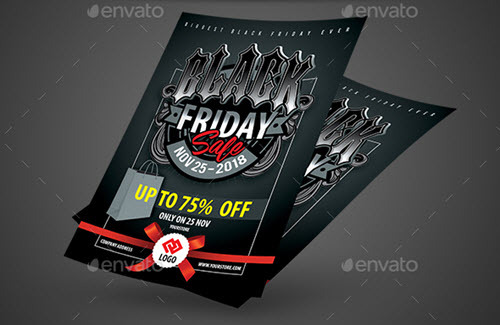 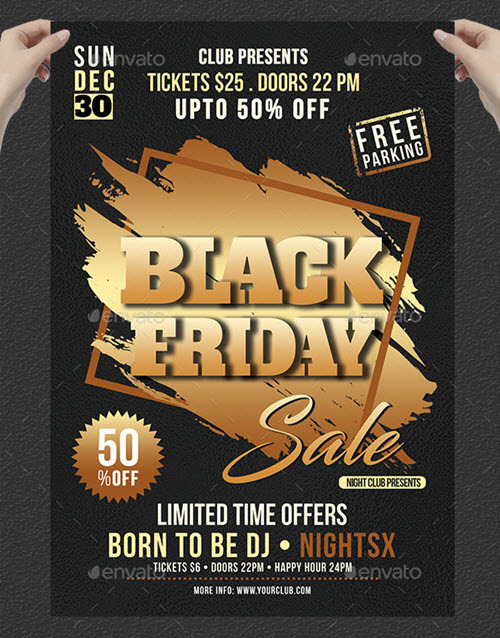 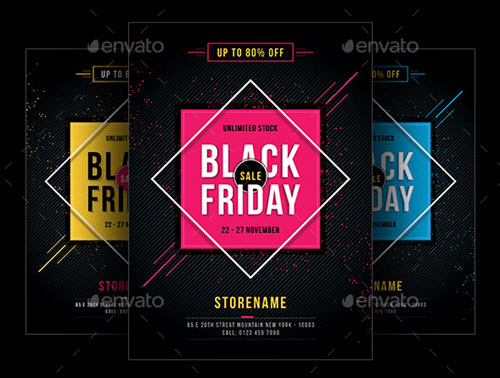 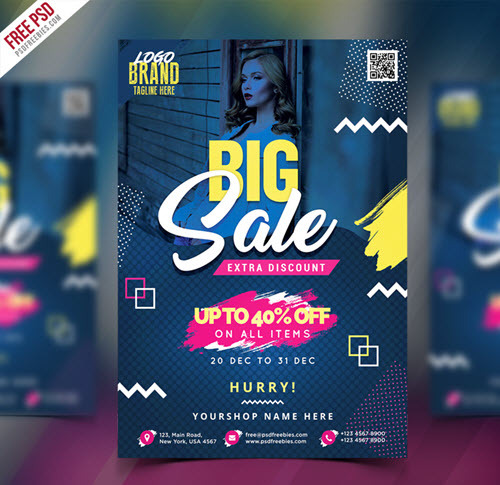 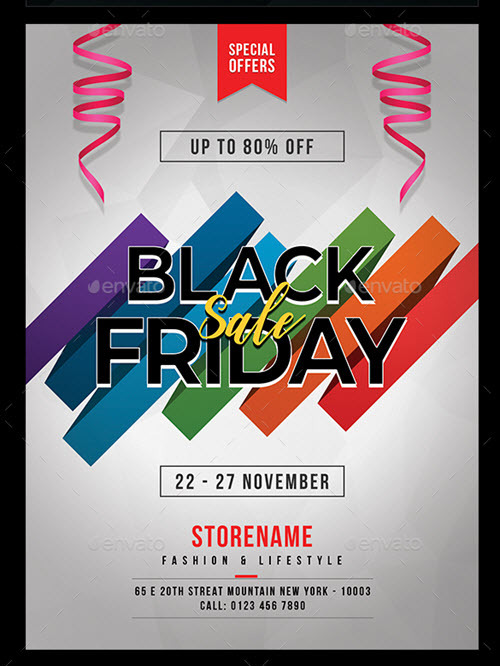 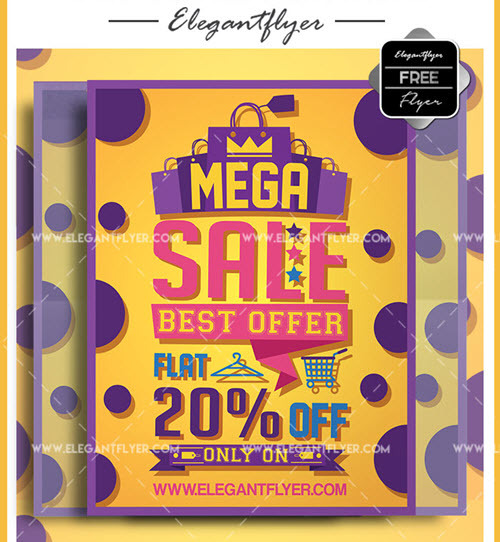 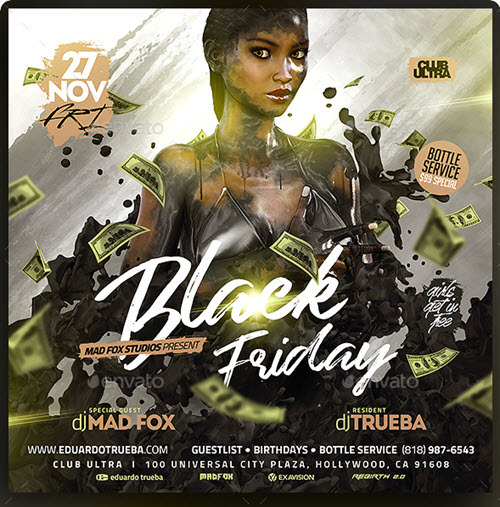 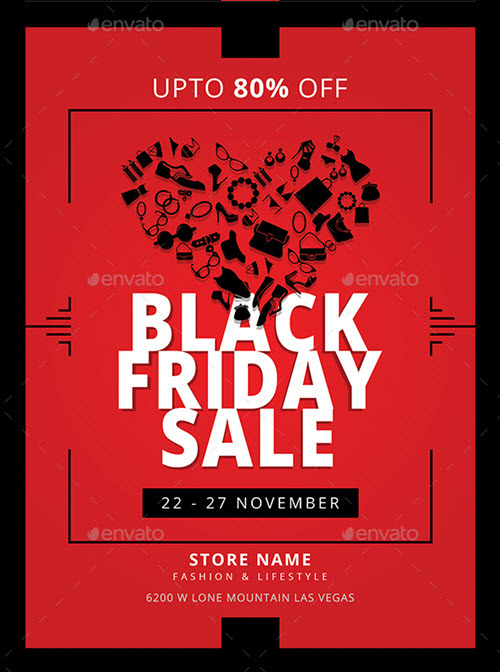 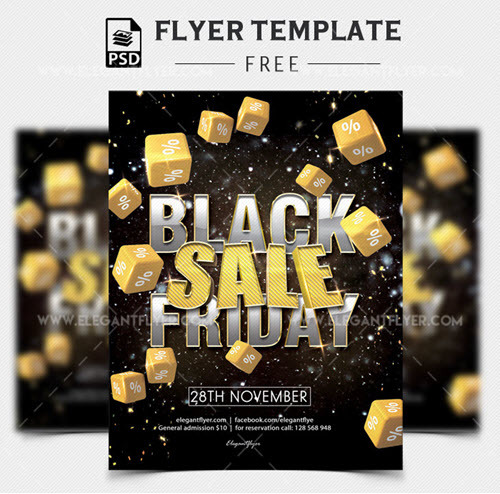 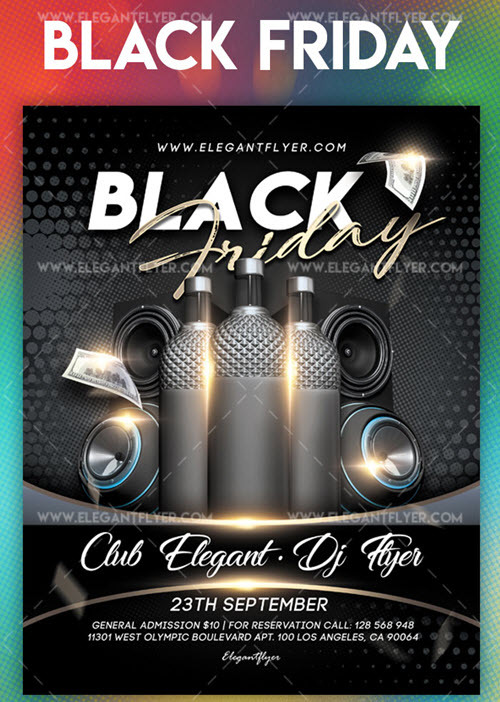 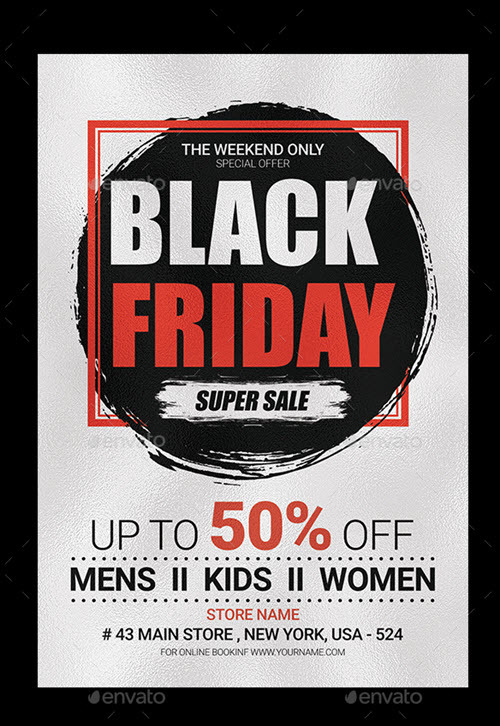 Are you looking for professional free flyer PSD templates for the promotion of a Black Friday sales campaign or a Black Friday special offer, or a Black Friday dedicated party? 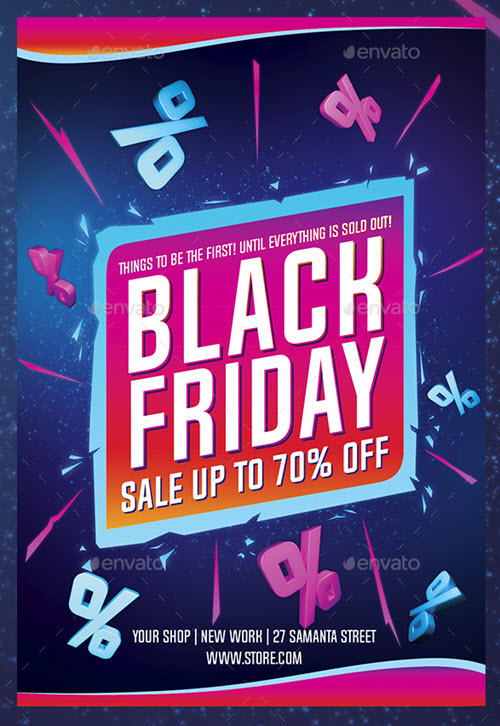 Then you have landed at the right place. 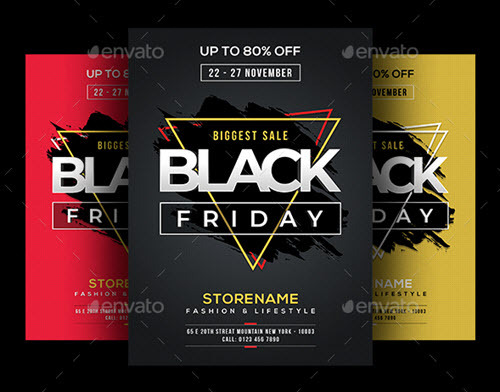 We have put together a hot list of 45+ premium and free Black Friday PSD Templates for your design and marketing needs. 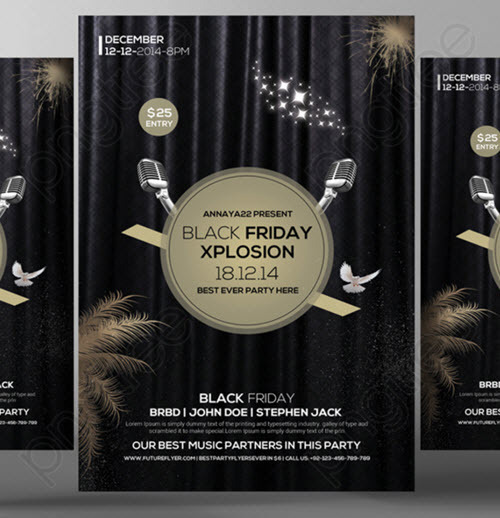 Flyer templates are the most cost-effective way to create an effective promotion or invitation for any event. 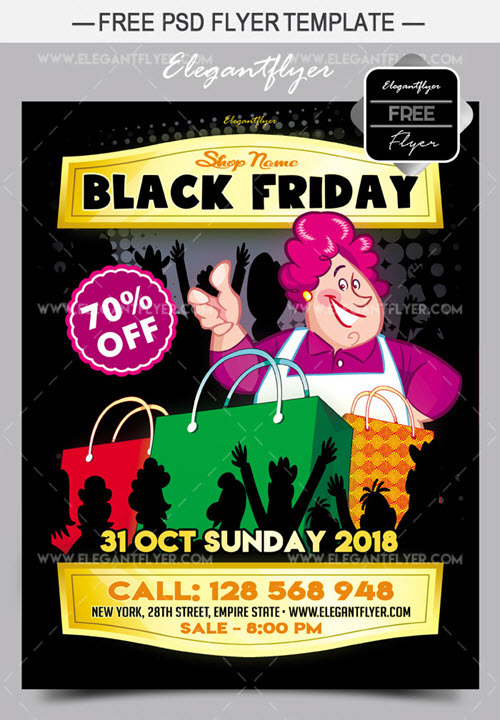 Black Friday is one of the hottest time for sales campaigns, special discount days and shopping, and the right promotion of an upcoming Black Friday dedicated marketing event is a must for attracting a target audience and keep their interest. 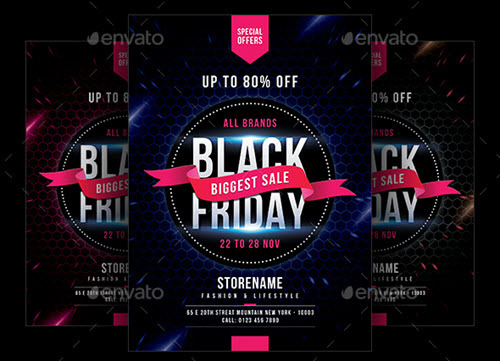 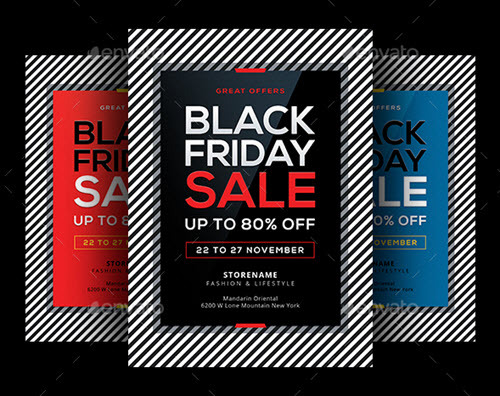 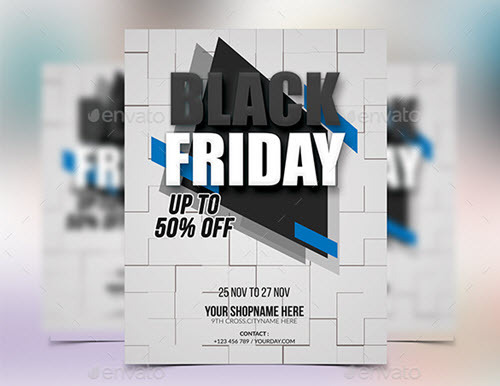 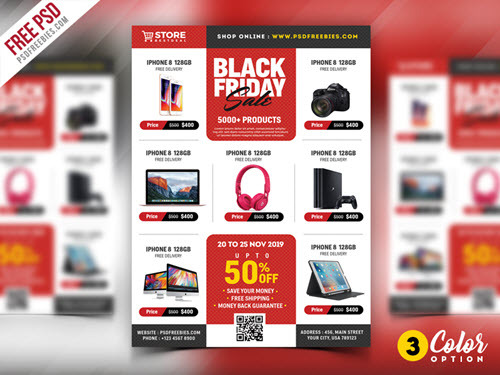 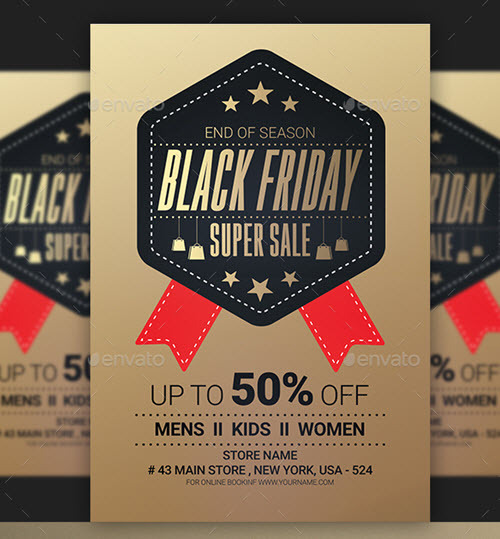 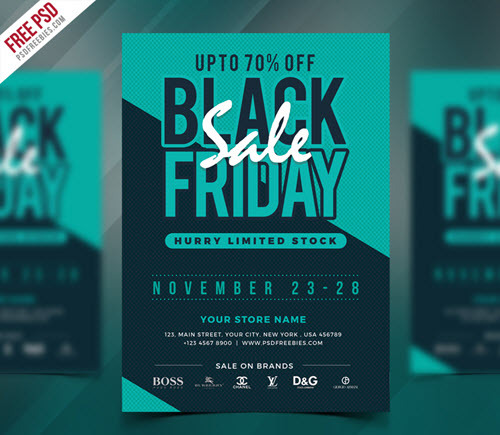 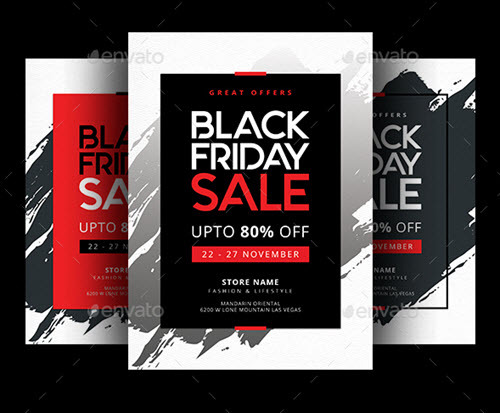 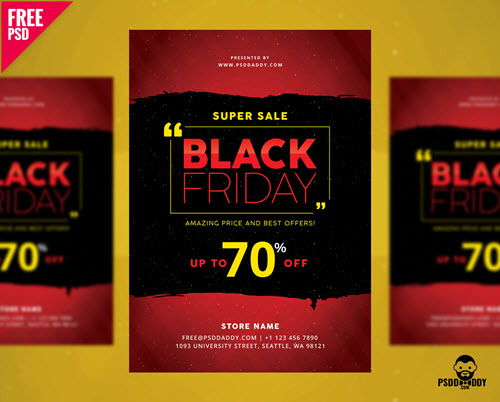 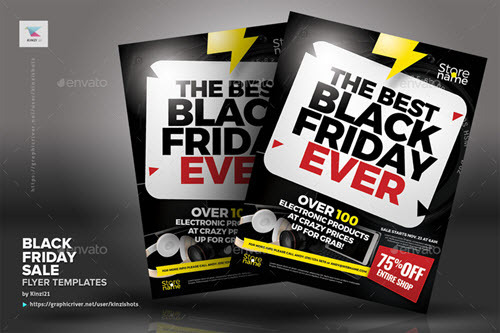 Using these pre-designed free Black Friday flyer templates in PSD, you can easily create an attractive promotional leaflet design with a special offer, discount or detailed information of an upcoming event. 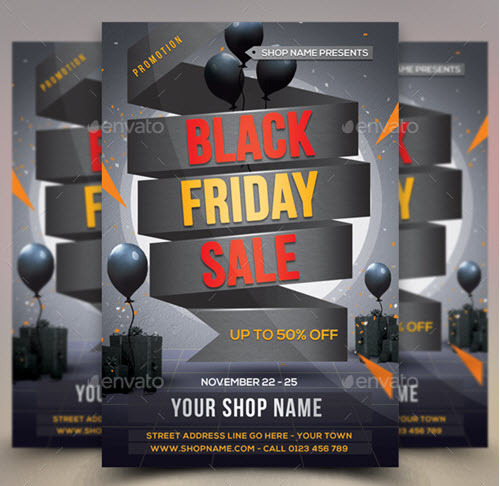 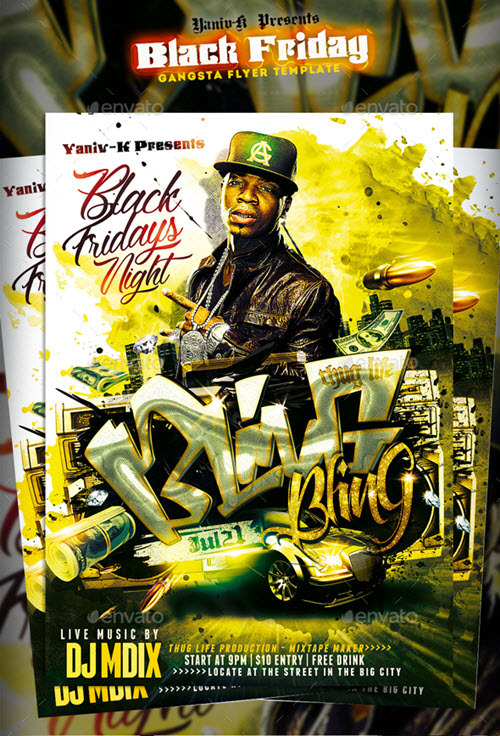 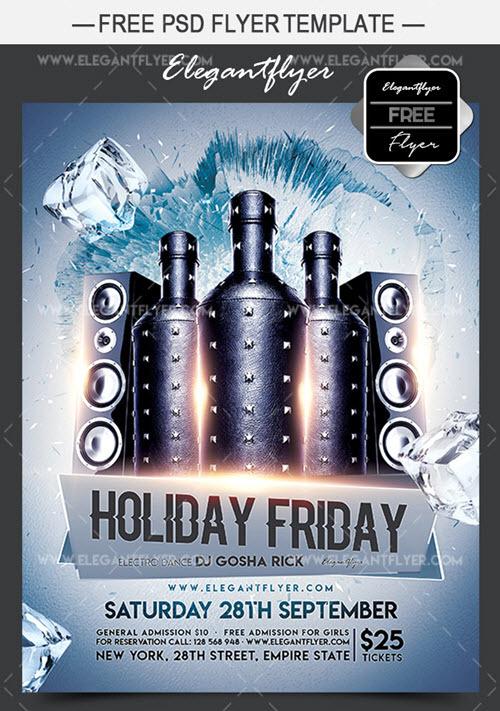 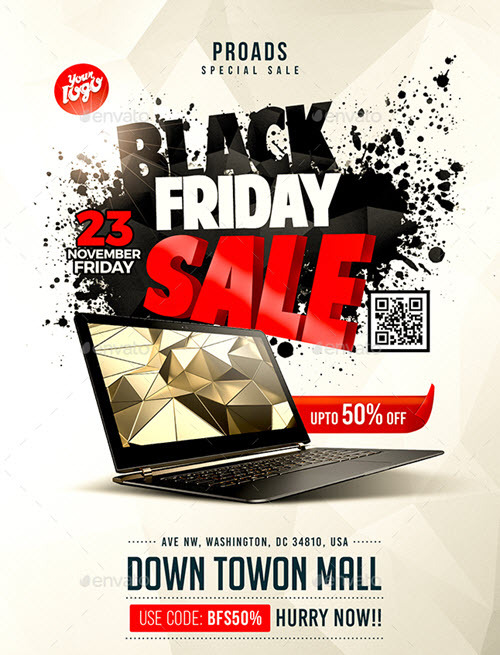 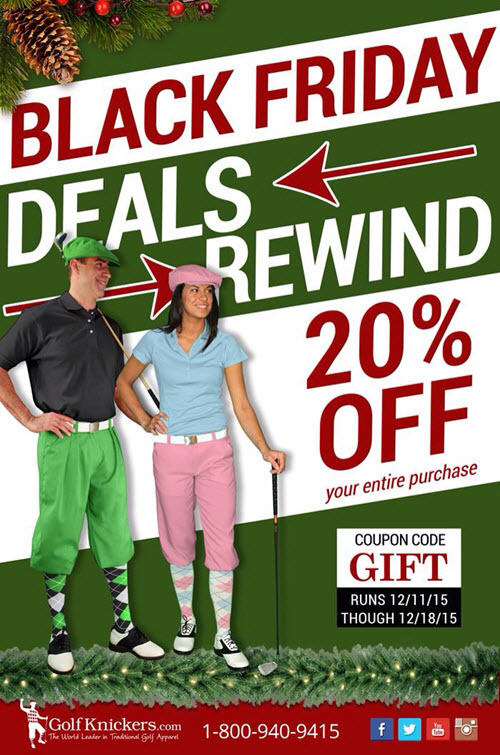 The customization of a flyer for your Black Friday event, promo campaign or a party can become much easier if you make all the customization in Photoshop, as it has all the needed tools and effects for quick change of all the needed design elements: Get Photoshop as part of a Creative Cloud single-app plan for just US$19.99/mo. 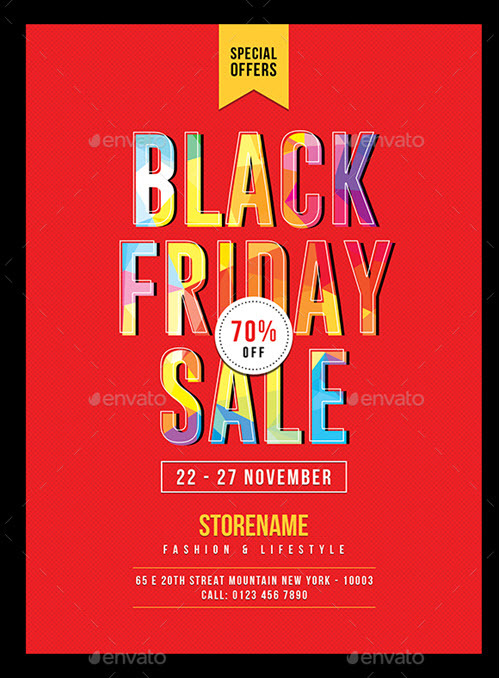 Using any of our exclusively designed free PSD templates or mockups, you can much simplify your professional life. 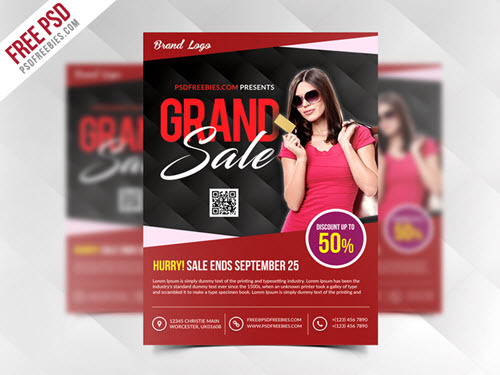 If you are a graphic design beginner or a busy designer who need some help, we are here to lend a helping hand to you. 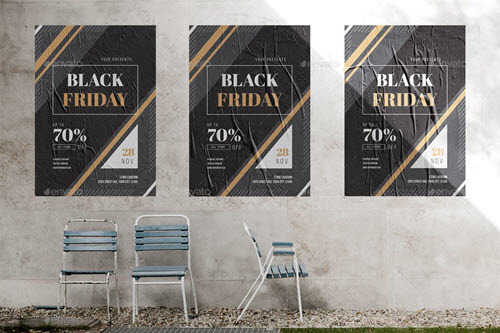 Looking for high-quality free PSD mockups? 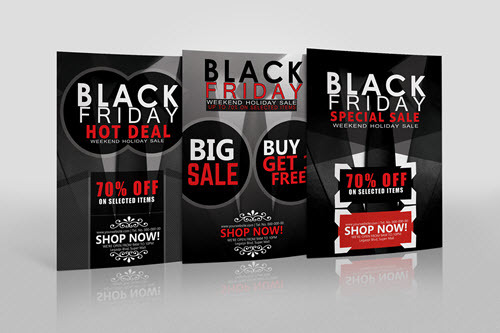 On our website you will find hundreds of photorealistic free mockups in PSD. 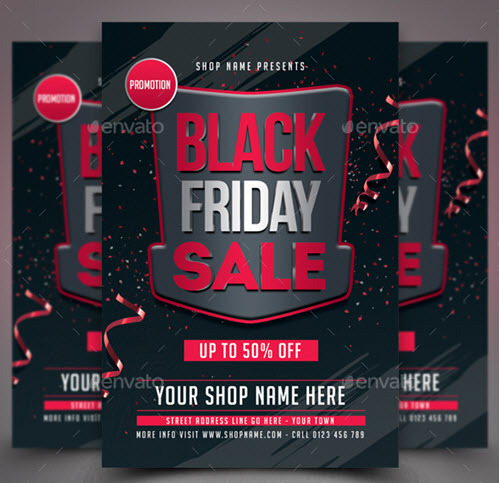 If you are lack of some free graphics for your graphic design projects, you can make use some of our free graphics category. 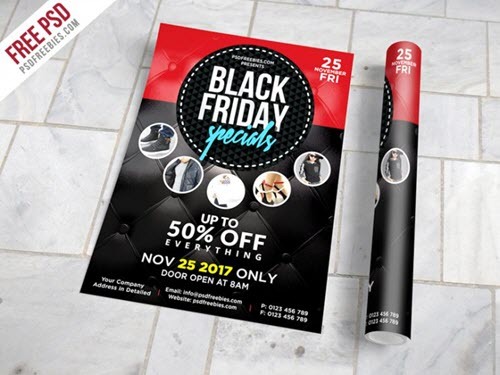 Previous Article 40+ Premium & Free Thanksgiving Flyer PSD Templates for Thanksgiving 2018 Next Article Free Pen Mock-up in PSD and Premium version!